The Asian Football Confederation (AFC) is the governing body of Asian football and one of the six Confederations making up FIFA. Formed in 1954 in Manila on the sidelines of the second Asian Games, the AFC was sanctioned by FIFA in Berne, Switzerland on June 21 of that year. The AFC is now headquartered in Kuala Lumpur, Malaysia and consists of 46 Member Associations and one Associate Member Association (The Northern Mariana Islands). Shaikh Salman bin Ebrahim Al Khalifa of Bahrain is the AFC President. 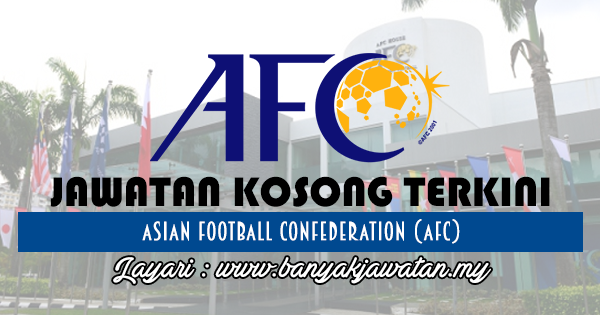 0 Response to "Jawatan Kosong di Asian Football Confederation (AFC) - 22 Ogos 2018"